Back in January, I gave some initial thoughts on the new limited edition Jo Malone Sugar & Spice Collection and I apologised for any incoherence arising from my hastily scribbled notes and fragmented memories of the scents! Today, I’m hoping to offer a little more clarification and depth on three of the five new fragrances available. Let’s just dispense with half of you straight away shall we? 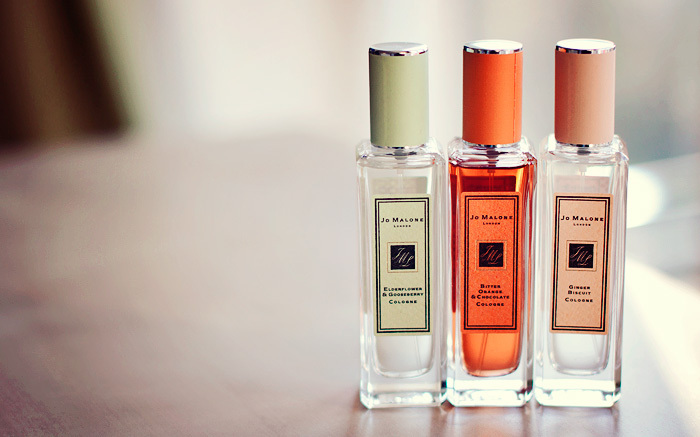 If you’re not a gourmand fragrance lover, give this collection as wide-a-berth as possible. There’s nothing here for you, not even in the slightly-less-foodie Elderflower & Gooseberry scent which valiantly skirts the sweetness with a lighter touch than the others in the collection. You will look upon this collection and wonder how such a distinguished brand have managed to create such a food-flavouring abomination of colognes. Harsh words perhaps, but I can see how they can be applied depending on your personal fragrance tastes. 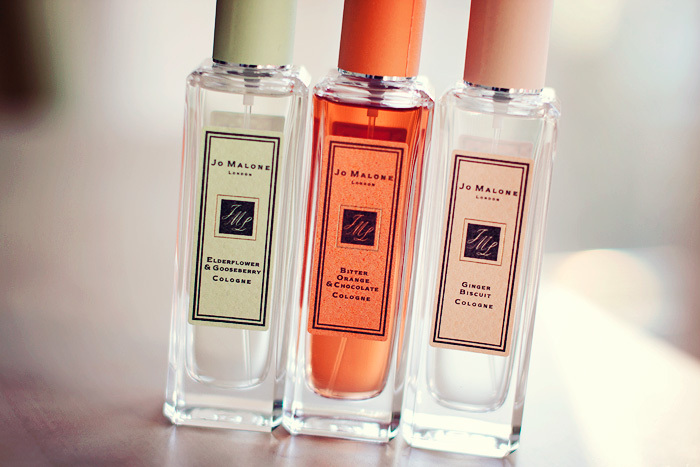 The Jo Malone Sugar & Spice Collection is unapologetically saccharine. It is as much brave as it is predictable, setting itself up for a battering from many faithful fans who consider it the absolute height of dumbing down for an unwelcome audience. When I first started to wear and enjoy fragrance, I was utterly drawn to the gourmand side of things. Those were the smells that were most relatable to my tender palate and nose. Ginger biscuits, chocolate oranges, and lemon tarts? Stuff of dreams. 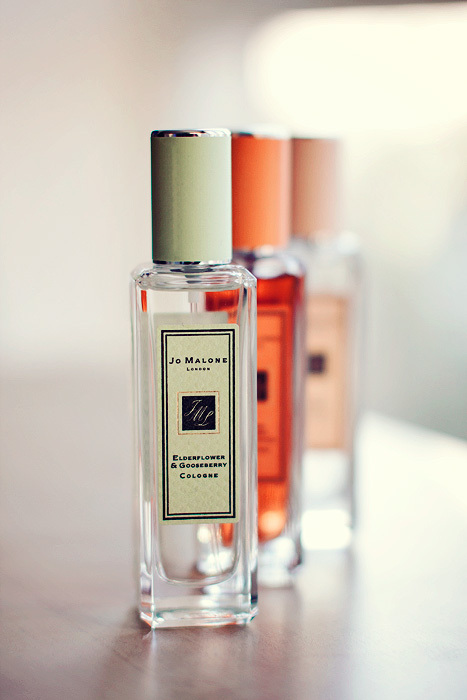 And Jo Malone have captured these dreams in the most delicious of ways, that is surely impossible to deny. From the campaign imagery of delectable treats to their beautiful muse who looks more like a macaron than a model sets the scene. This collection is here to whet your appetite, and if your appetite lies not with the sweet stuff, it’s time to move along. Surprsingly, it’s not the juiciness from the gooseberries that first makes contact with my skin but a creaminess that’s been tempered with a touch of fizz. It strikes a nice balance that develops into a full-bodied, soft-fleshed juiciness, from which I detect mostly gooseberry and lychee. It’s light but warming, fresh but not particularly zingy, like a hug from an older sister rather than a mother. The elderflower sits in the background, carefully orchestrating the proceedings and provides a tenderness that matures the juicy playfulness of the other notes. There’s also a powdery note that feels particularly hand-on-shoulder calming. Out of all the fragrances in the collection, this one is still my favourite. Surprisingly long-lasting too. When I first had the opportunity to smell this at the launch event last year, I was suitable impressed by its foodie rendition. If I’ve read it once, I’ve read it a hundred times: there is indeed something very true to the Terry’s Chocolate Orange about this scent. But then it gets kinda bitey. The chocolate is dark and lacking in softness, this combined with the bitter orange makes me feel uncomfortable after a short while. I feel like I’ve been lured in under the promise of velvet, only to be whipped with sandpaper. It’s not that the notes jar or are remotely ill-combined, the chocolate orange is a fantastic rendition, but it’s not for me and not for my skin chemistry. It feels a little too raw and uncooked, sitting on my skin with far too much front. Interestingly, I actually quite enjoy it once I’ve washed it off, the main facets of the scent are still completely detectable without screaming for my attention. Before the ginger has a chance to throw itself into the (cookie) mix, the other spices tickle my nose in the most pleasant of ways. There is nothing piquant about this scent, just the wonderful richness and true aromatic qualities you’d expect from something that lists nutmeg, cinnamon, and ginger as the main party players. You can feel the warmth of the kitchen, the scents that lift from the red-hot baking tray. The almost-magical buttery notes create the impression of tummy rumbles that make it so darn impossible to wait for the freshly-baked goodies to firm up before diving in. The only problem I have with Ginger Biscuit Cologne is that it has been crafted so wonderfully true to its inspiration that I can’t imagine wearing this at any other time than Christmas. I would happily drown myself in it throughout the month of December, but not now. Instead, I enjoy illicit sniffs at the nozzle and bide my time patiently. Do any of the colognes appeal to your sweet tooth? The Limited Edition Jo Malone Sugar & Spice Collection is available to buy now on counter and online at www.jomalone.co.uk priced at £38 for 30ml. Like you Elderflower & Gooseberry is my favorite. The others are just too sweet and literal gourmands for my personal taste. But, I can see gourmand lovers going nuts for this collection.